Being a dive instructor is considered a dream job − especially where the water is warm and colorful fish and corals are plentiful. If you ask around most people think dive instructors are perfectly tanned lifetime tourists who are always cheerful; people that turned their hobby into a profession. But how does one become a dive instructor? Do they get up one morning and decide, “From now on I'm a dive instructor”? Or are there universities out there where you can get a degree as a scuba instructor? The answer: Participate in a dive instructor course. 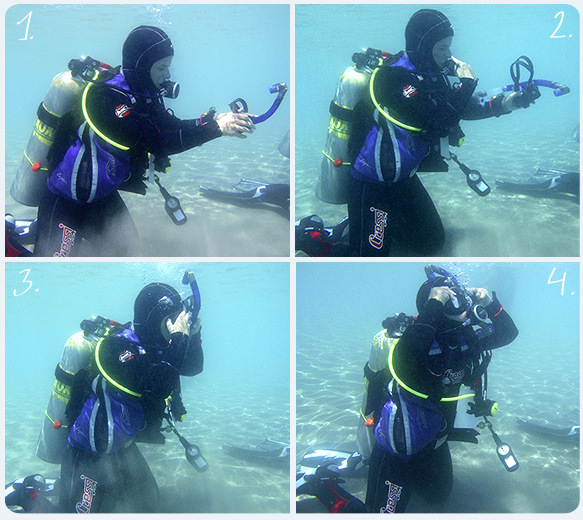 PADI course director, Nancy Abd El Wahab invited us to audit an Instructor Development Course (IDC). 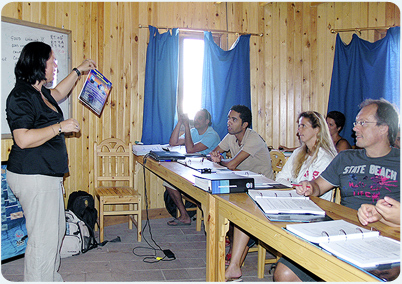 The course runs for 11 days and takes place at Sinai Divers in Dahab, Egypt. The mission of Nancy and her team is to prepare the candidates for the final test: the Instructor Examination (IE). 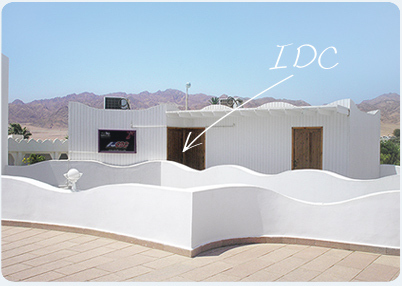 The IE takes place at the end of the IDC, lasts two days and is divided into practical and a theoretical sections. 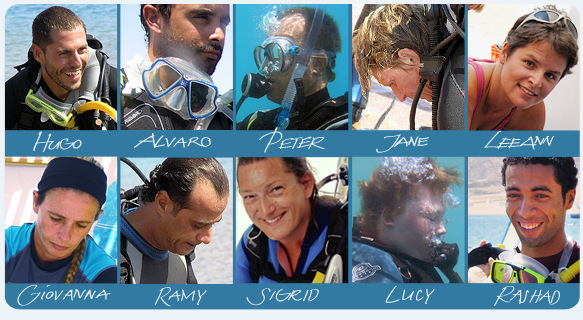 All the candidates have the same goal: To be certified as a dive instructor in 13 days. To participate in a PADI IDC, the candidates must be of legal age and be a PADI Divemaster with at least 100 logged dives, a PADI Assistant Instructor or a professional diver from another organization (cross over). It’s 8.30am and the weather is perfect. The sun is shining. Sinai’s mountains stretch spectacularly across the horizon and the pristine beach curls into azure waters. It’s exactly like a postcard. 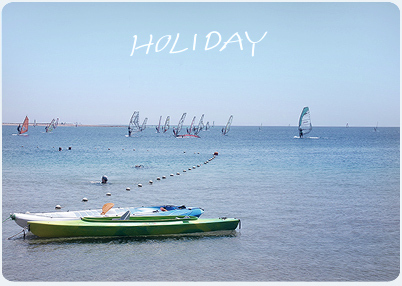 In Dahab’s lagoon you can see the first windsurfers skipping across the water. It’s a perfect lazy day. But not for our soon-to-become dive instructors. Nancy and her three staff instructors ask the candidates to join them in the classroom.. The air conditioning is running full power to make the temperature of the room bearable. But it’s still warm. The 11 candidates from six different countries take a seat and open their documents. The tables fill with big folders, books and laptops. Everybody is looking at Nancy who starts her presentation. The atmosphere is cheerful and the participants laugh as the experienced course director peppers her speech with little jokes. Now we have the chance to take a closer look at the participants. It seems like they have never met before with the exception of two Spanish guys who are whispering in the second row. It’s an interesting potpurri and most of them are here for different reasons. 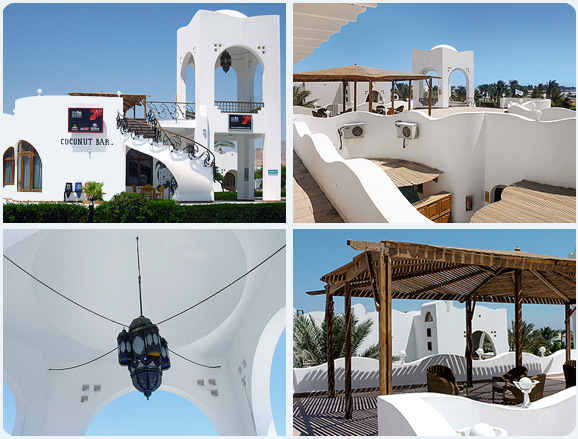 Some candidates already live and work in Dahab. Others have travelled here but will pursue their new career elsewhere. The age range is interesting as well. We are told that the youngest participant has just reached full age and the oldest is already more than 50 years old. According to Nancy this is not unusual. The IDC-Team: Nancy and the "Mighty Three"
Course Director Nancy, originally from Germany, has lived in Dahab for 16 years. These 16 years have all been spent in the diving industry. From the very beginning of her instructorial career her ambition was always to become an instructor trainer. Nancy has three IDC staff instructors to ensure that every candidate gets optimum attention. Yasser, Hendrik and Doug are participating as advisors and assist Nancy in preparing the candidates . Yasser is a lively Egyptian who was born northeast of Cairo. In a short time he has given some of the candidates nicknames. Alvaro und Hugo are now named Alvarez and Hurly. Yasser says he can remember this better and smiles. Hendrik is German and completed his IDC a couple of years ago. He has been a staff instructor since 2007 and works with the German-speakers. The third in Nancy’s team is Doug from Britain who previously worked as a fire fighter. He’s been a dive instructor for seven years and became an staff instructor earlier this year. Today he participates in his second IDC. Doug’s girlfriend Leeann will be in the same room as one of the eleven IDC candidates. The candidates face a tight schedule. In the coming days they need to develop and expand their theoretical and practical expertise in order to pass their skills on to future students. One of the main focuses of the IDC programme is learning to optimize demonstration abilities underwater; in essence communicating without words. After a short while a young woman is coming out again. She says that she is not feeling well. “Not a big drama,” says Nancy, “there is still plenty of time to catch up with the missed lesson in the water.” “However it would be better if the participants are in the water as often as possible,” Nancy added with a serious face. Underwater we are close to Leeann and Peter. Peter is doing well. Slow and clear he is presenting the skills with gestures common to PADI professionals. Leeann is doing a good job as well; the instructor trainers seem satisfied. Doug is especially proud of his girlfriend. After this first lovely day we stop to ask ourselves why somebody wants to become a dive instructor. The reasons vary. Hugo and Alvaro from Spain want to escape the daily routine of working in web development. They plan to travel around the globe and earn money at the same time. Peter, a former newscaster, was released from his job because of his age. He started diving 10 months ago and already has a job offer in Thailand. Peter’s status is CMAS three-star so the PADI IDC is a crossover from another dive association. Jane was in Dahab for the first time 18 months ago and immediately caught fire. As a former English teacher she loves to teach, wants to pursue this passion now in the water and moved spontaneously to Dahab. Leeann is a paramedic. 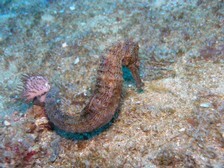 She works locally as a divemaster. For her the IDC is the next logical step. Similar reasons have Giovanna from Italy, Ramy from Egypt and Viktoria from Kazachstan. All three of them worked previously in the tourism business. Sigrid a social worker from Germany who doesn’t want to change her present job but is looking forward to sharing her hobby with interested friends back home. The two youngest participants are Lucy from Yorkshire (England) and Rhashad from Alexandria (Egypt). These two want to improve their career and enhance their job chances by becoming dive instructors. In the mean time the participants are back in the dive centre and rinsing their gear. After lunch and further presentations first day ends at 5:30 pm.